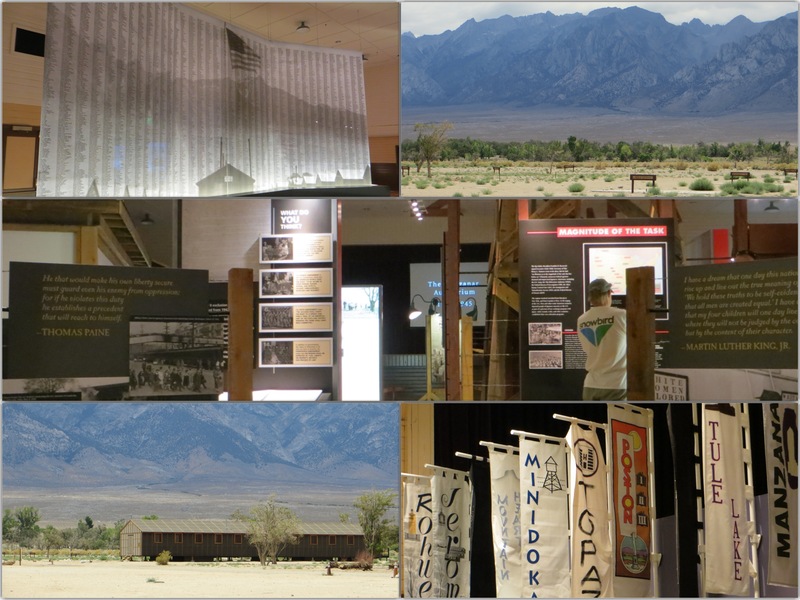 There’s a certain feeling when one visits a spot such as Manzanar. It’s not a place known by many but has significant historical meaning. For as long as I have been visiting Mammoth Lakes, which is over 23 years, we have driven up the 395 and passed what used to be one of ten Japanese internment camps during WWII. It’s not a pleasant period of history, but one that has always fascinated me. This area of the Owens Valley, located at the base of the Sierra Nevadas, was originally home to Native Americans. Miners soon came along and created the town in 1910 but left in the 1920’s when the city of Los Angeles obtained the land and its water rights. Following the start of the war, it became a forced relocation area for Japanese families and was open from about March 1942 until 1945. It encompasses about 6,200 acres, all of which is completely desolate. When the camp closed in 1945, the land was left to degrade on its own. We would drive by the lone watch tower and a few scattered walls, but it wasn’t until the mid-early 2000’s that a museum was created and the site was opened to the public. Today the site has evidence of numerous building foundations, parts of the water and sewer systems, and leftover landscaping by the incarcerees. Additionally, there is evidence of the ranches and of the town of Manzanar and some artifacts from the days of the Owens Valley Paiute settlement. 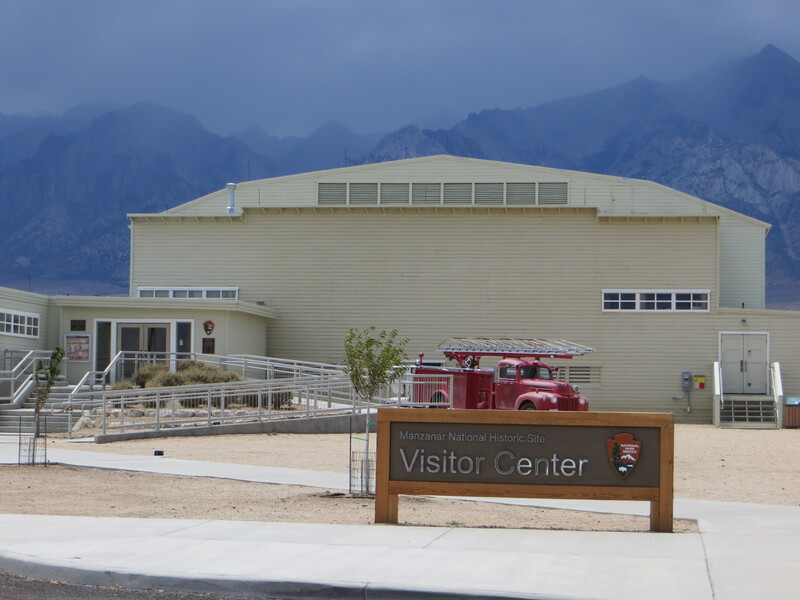 This visitors center was opened back in 2010 and is housed inside a restored WWII mess hall. This area now exists with a complete museum to share the history of the site and the stories of those who were unjustly incarcerated on the premise and throughout the United States. Inside you can find a 20-minute video about the camp as well as numerous walls filled with information and stories about the camp. It truly is in the middle of nowhere and it’s almost incomprehensible how people would live through the extreme heat and extreme cold. 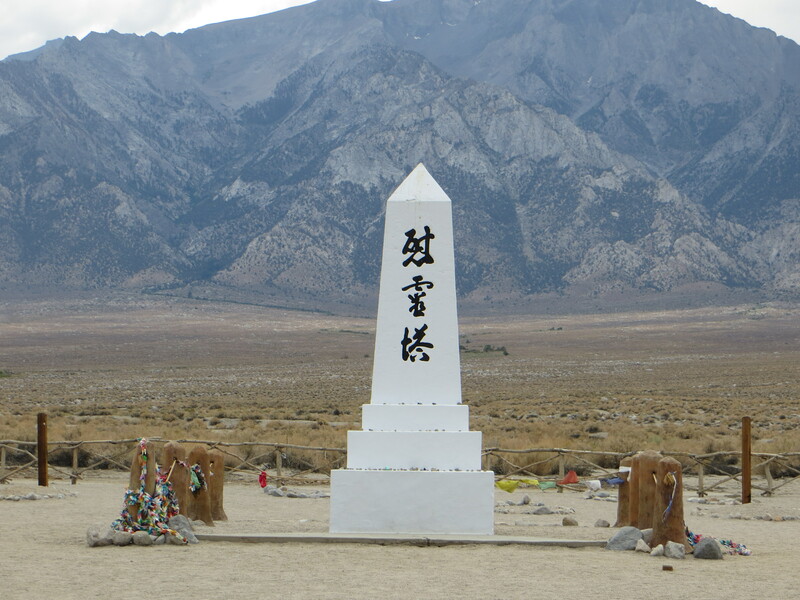 Manzanar now features restored posts at the camp entrance, a mock guard tower, and informational markers. The National Park Service is working to reconstruct one of the 36 residential blocks as a demonstration block. There will be one barrack to replicate those at the beginning of the war and one to replicate what remained at the end of the war. There is a mile-long walk along some of the camp sites, areas that are being re-constructed to model what it was like and to extend the museum. This walking path also leads you to the Manzanar cemetery. This particular monument was built by incarceree stonemason Ryozo Kado in 1943. 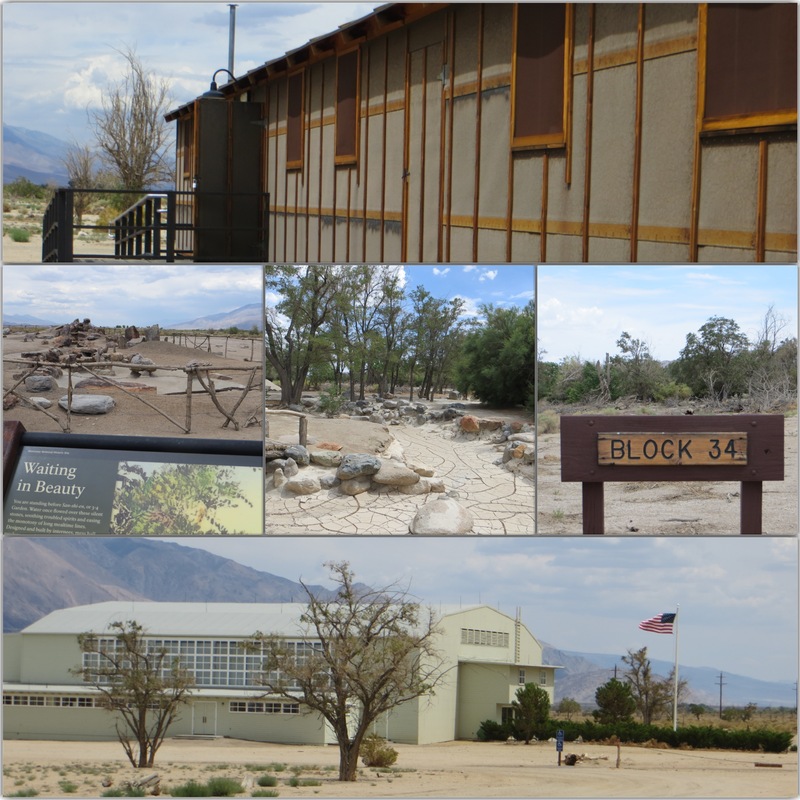 This entry was posted in Healthy Me and tagged california, history, Manzanar, Owens Valley, tours, travel by Kaitlin. Bookmark the permalink. Wow, this is all so fascinating. When I was younger I read “Farewell to Manzanar” (I remember that because I still own the book, not because I have such a phenomenal memory haha) and it’s so mind blowing to think that this sort of thing happened. It’s even more mind blowing to me that the entire camp was just left to decay as if nothing ever happened until recently. Thanks for sharing this! What a heartfelt post! I am thrilled that you made people aware of this spot – it was an emotional place to visit because it did make us aware of some unpleasant history. Thanks, K!